Himalayan birch, king of the birches. People ask me if I paint the bark white. In a sense I do (by yearly feeding and attention to detail). 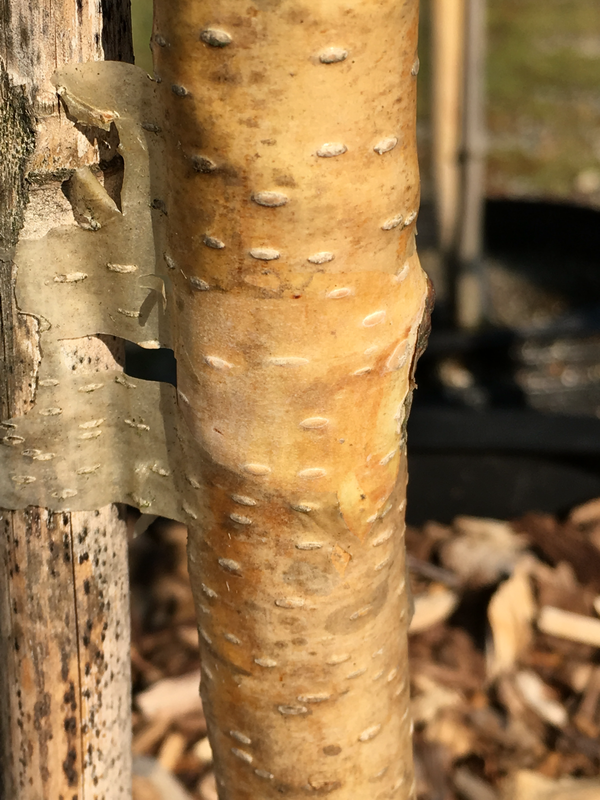 Healthy birches shed their bark all year long, with the most prolific shedding taking place between September and April. Bark on infected Himalayan birch appears to have horizontal veins indicating presence of bronze birch borer larvae. Possibly salvageable. You do not want bark on a birch to have veins. It’s preventable with yearly birch tree care. Turf type tall fescue looks just like bluegrass but is drought resistant. Sod we sell is grown extremely professionally with decades of research and high standards. When we get it delivered, we treat it with respect so when you pick it up you are happy with the results. Harrells 17-6-12 slow release fertilizer is the one slow release plant food we use on everything here in the nursery. If someone's job is to feed a block of plants and a few plants aren't fed, within a week or two it's easy to see the difference between plants that got the food and those that didn't. One can walk past a group of plants where most look great and others look sickly by comparison. We just bend over and look at the top of the soil and almost always find that those plants didn't get the food that they were supposed to. You can only tell the difference between plants that are fed well and those that aren't if they're side by side. It's not that the ones that didn't get fed look diseased, it's just that they don't look as lush as the fed ones. So I always go and get the bucket of fertilizer and feed the ones that got missed the first time. Within a week or two, they look like all the rest- shiny lush and healthy. The first part of insect and disease control is proper health and this fertilizer plays a key ingredient in that formula. 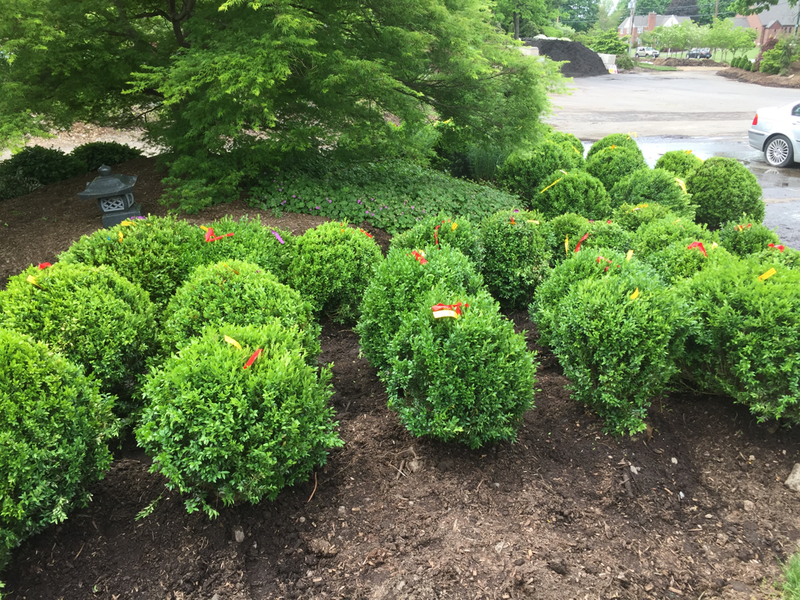 We plant A LOT of American boxwoods. Deer-proof, full sun to full shade, everything in between. Slow growth. Formal, simple, durable and easy, who can ask for more? 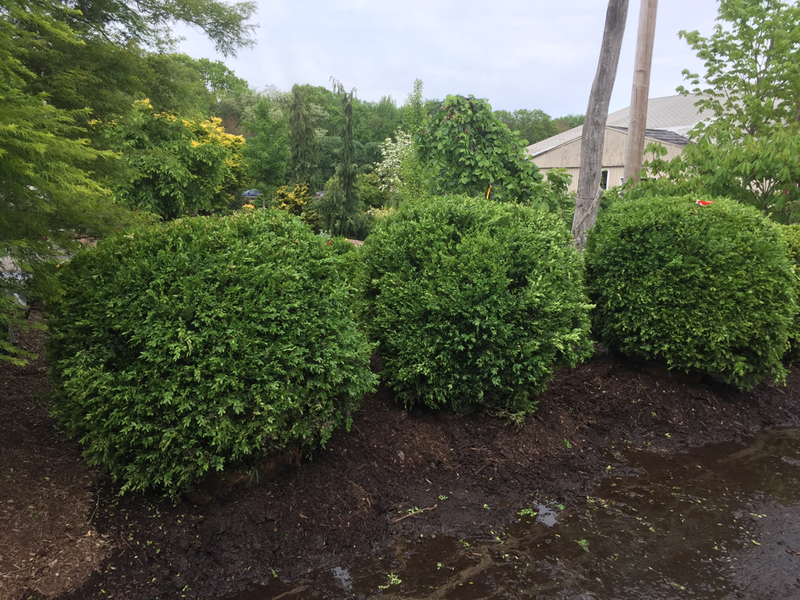 I could bring anything home but I just have American boxwood varieties all along the front, and it looks great all year long, especially in the winter. Beginner gardners alyays ask for "color, I want lots of color!" As time goes on though, one realizes that color is fleeting then all that is left is foliage that's not that great. I guess I favor low maintenance, year-round beauty, and deer-proofness over color. To each his own! This is the fertilizer that will save your trees! Hemlocks are really in danger in our area, both the ones in our yards and in nature. When hemlocks get huge, they are priceless. I see people taking them down in their yards because they are dying all the time and it almost makes me sick to my stomach because they are easy to care for with the most minimal effort. 1) Feed with Harrell's fertilizer (the bigger the tree, the more it gets). 2) Water like hell for two weeks with a sprinkler attached to the end of a hose. 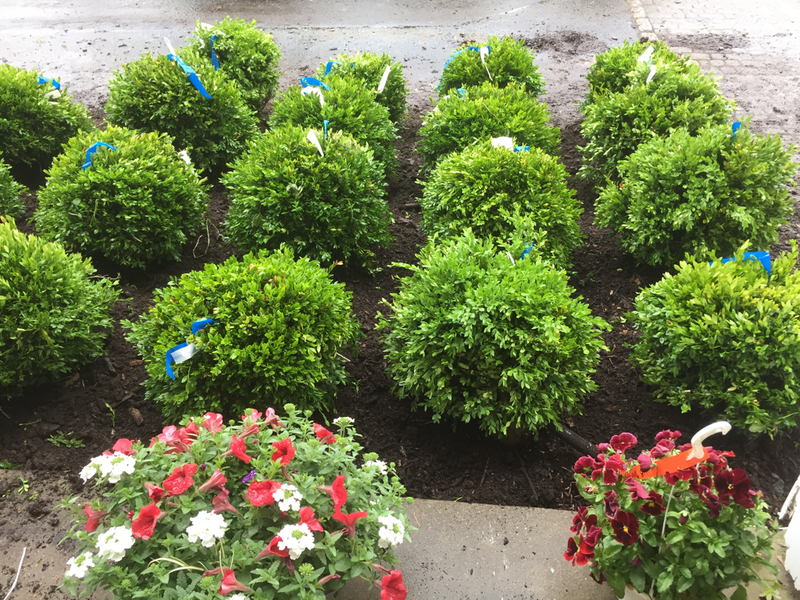 3) Apply merit as a soil drench according to label directions. Qs? come see us. 4) Water as if you just planted them for the following few months (more if it is the dry season). The idea behind this process is that trees never give up. 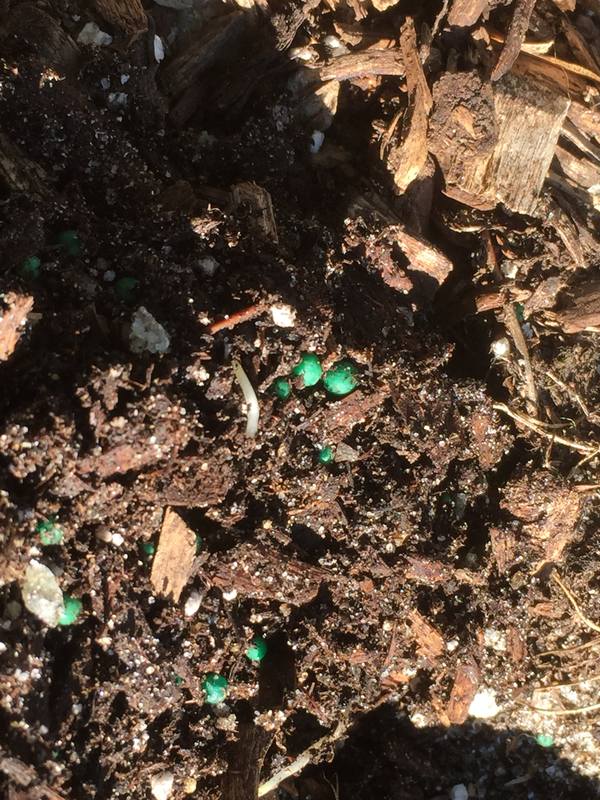 By feeding them with our fertilizer and watering them, the sap starts to flow like crazy, increasing the percentage of uptake of the systemic chemical. The chemical flows through all plant parts and anything that eats this tree will die. There are no insects that are killed except for the hemlock scale and the wooly adelgid and the treatment lasts for years. The absolute dumbest thing to ever do to a hemlock tree is to have them sprayed because they use dormant oil which kills all insects and knocks little birds out of their nests and is extremely disruptive to the overall biology that exists in that canopy. This practice should be illegal and anyone who has their property sprayed with this stuff should rethink the whole concept. Think about it. Ladybugs, preying mantis, etc....everything single thing dies when dormant oil is sprayed on a tree. This little plant is HOT. 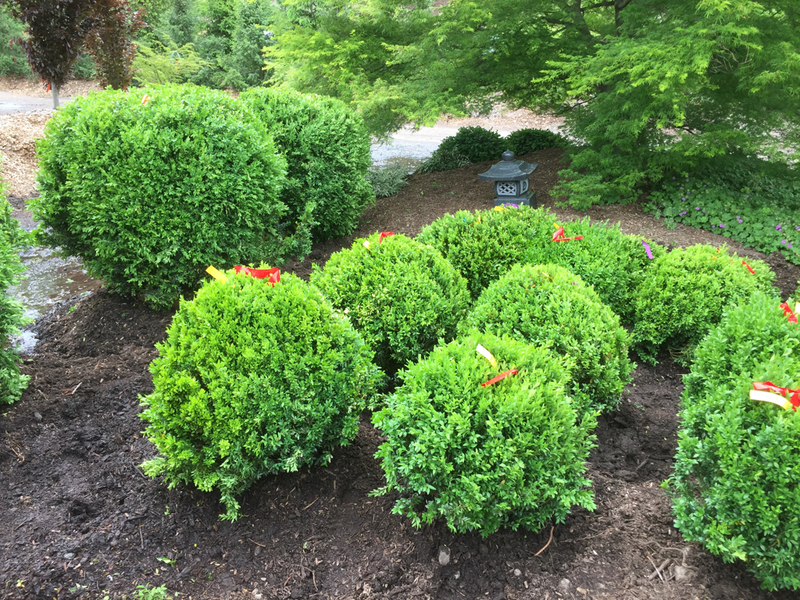 Looks like a boxwood on a compact plant with semi-evergreen foliage. Great for hedging and low borders. 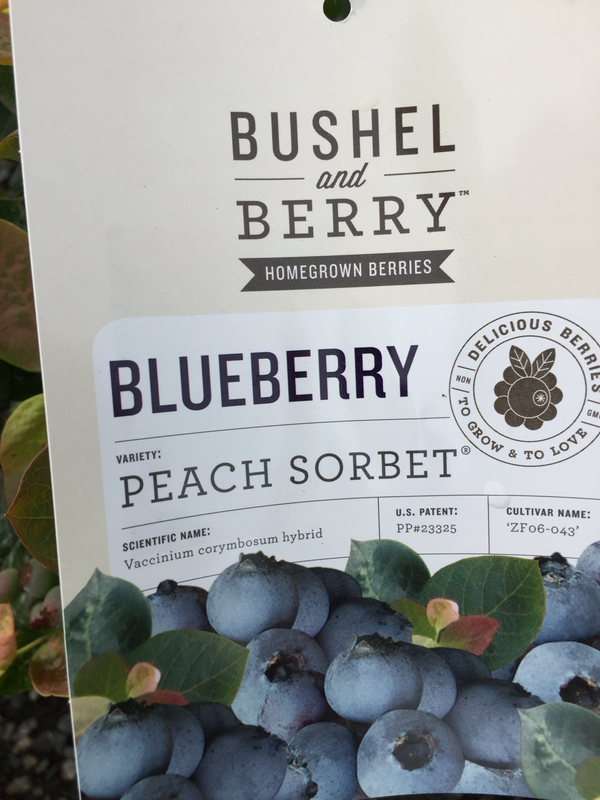 This is my favorite of all the hybrid patented blueberries. The foliage is unsurpassed in it's uniqueness and multi-season attractiveness. I'm not saying any more about this awesome plant or I'll be here all night. Great shrub/ berries pulling the branches onto the ground. Leaves that tickle the brain especially with polarized sunglasses on. Spoon-shaped leaves with semi-evergreen foliage on a compact shrub. 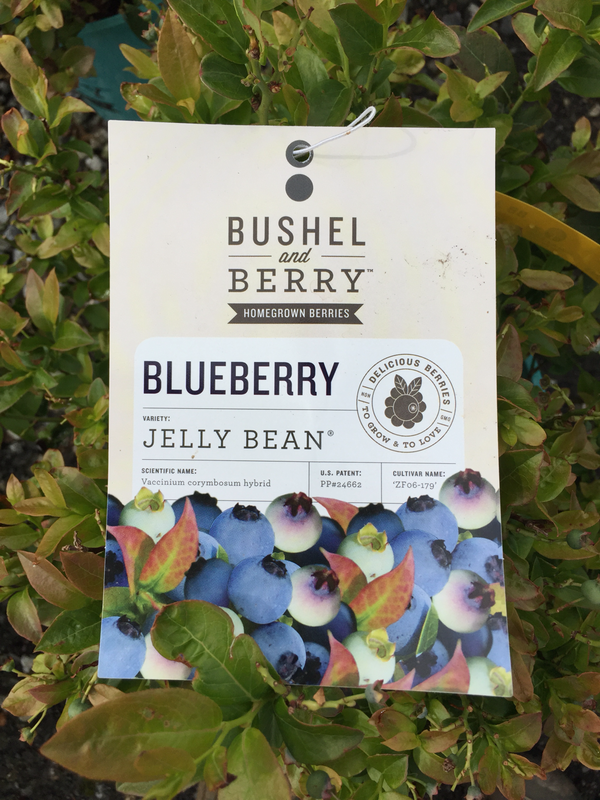 fall color is the best of all the blueberries. I know absolutely nothing about this variety except for the fact that it's foliage is lush and glossy. First delivery ever. Hardy to -40F!!! 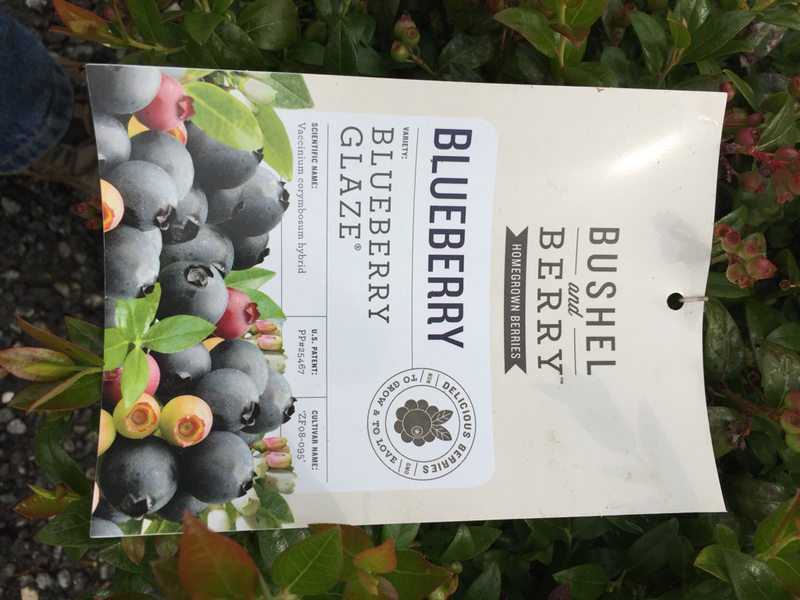 Flawless blueberry foliage, no holes no spots, no probs. 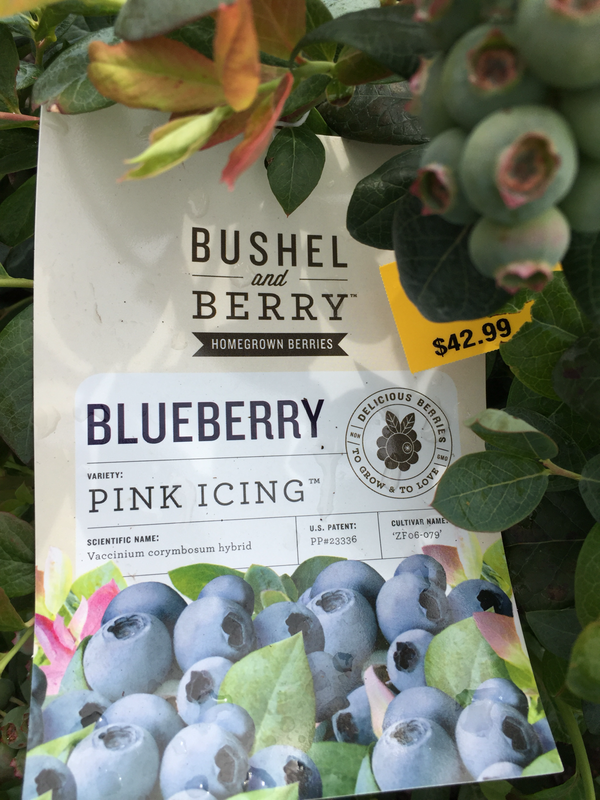 Blueberries are like this all summer long. 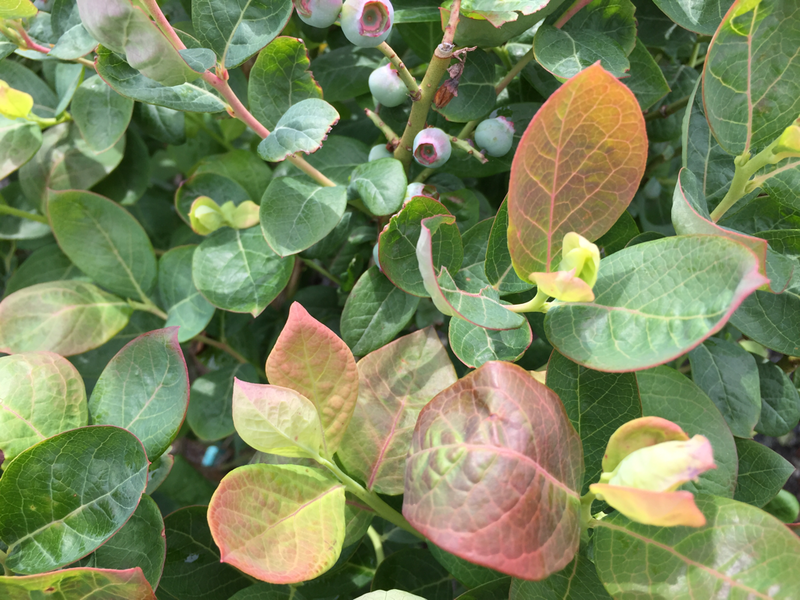 Ive been selling blueberries for decades not for the fruit but for the foliage. The old varieties are still great but the new ones are out of this world. 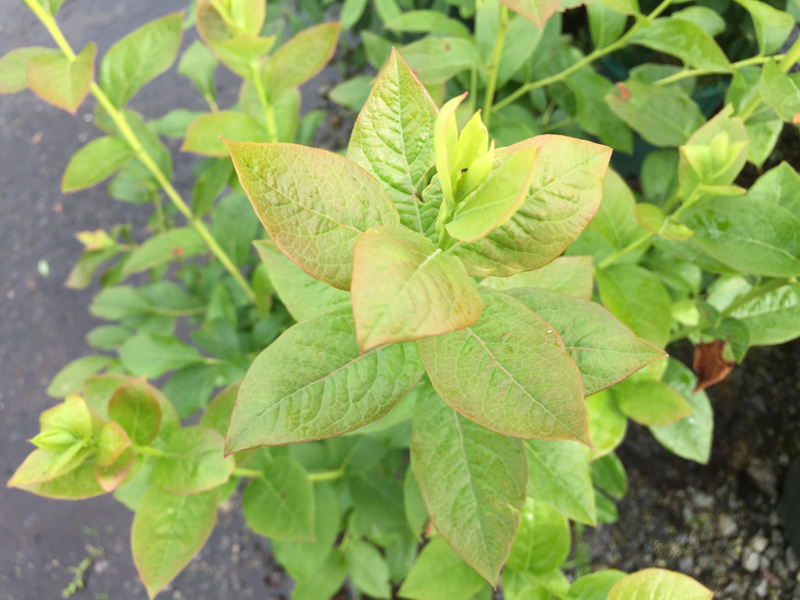 Deer-proof/ full sun to almost full shade/ sweetly scented white bell-shaped flowers in spring/fruit in summer/lava-colored fall foliage/winter stem structure resembles a giant oak tree in a small bush, some with red stems/some evergreen cultivars. 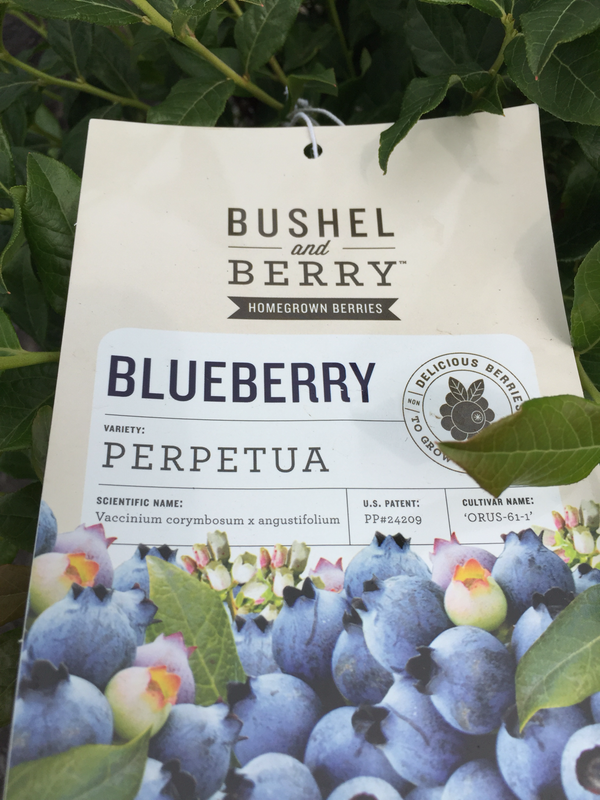 Heights vary without pruning to 2'/3'/4'/5'/6'/7'/8' depending on the cultivar, making these beauties PERFECT for planting on the front of a foundation planting. Fruit freezes extremely well and is like mother nature's M+Ms. Toss the potato chips into the trash and eat these instead. Peeling bark tells you the tree is happy. Happy trees are chemically invisible to the adult bronze birch borer somewhat. New unfolding leaves indicate the tree is happy. Happy birches are somewhat chemically invisible to the bronze birch borer. 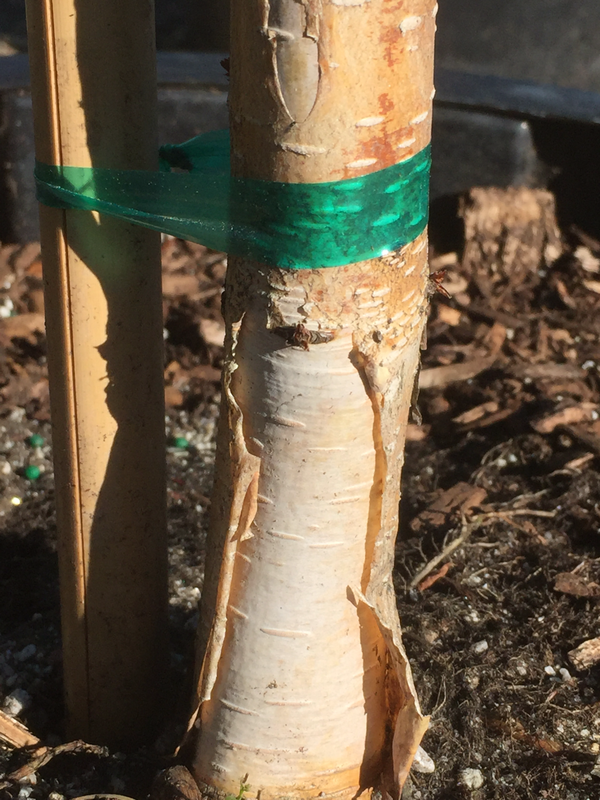 White new rootlet indicates happy soil environment for your birch. Happy birch roots make the birch chemically invisible. 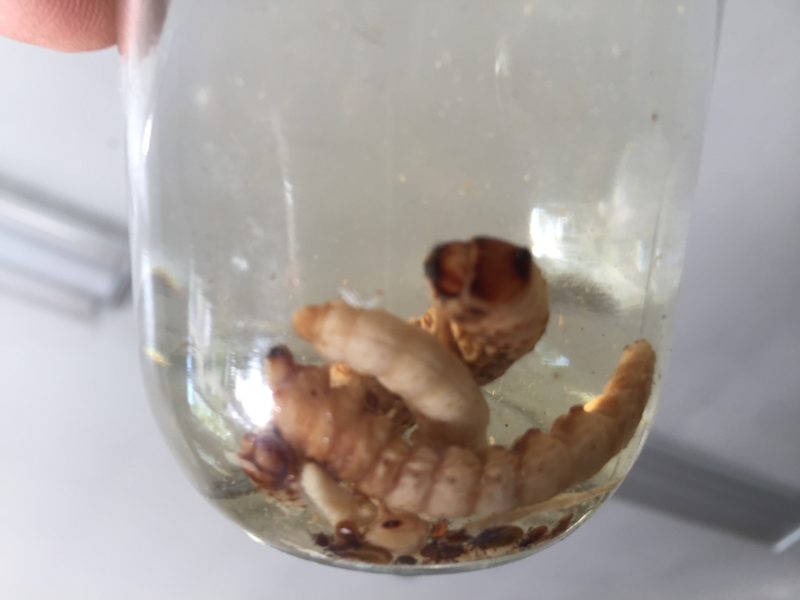 The enemy of birch, the larvae of the bronze birch borer. Smart insect. 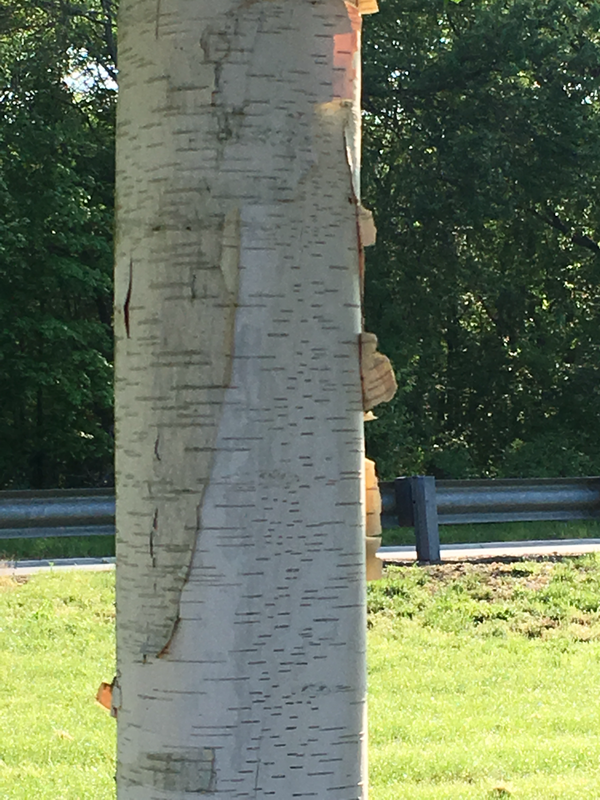 They smell sick birches from a mile away, following the ethylene molecule trail all the way to the tree and laying their nasty eggs onto the bark. When they are neglected, they are chemical crybabies and just like the bleating wounded sheep in the middle of the field, the predators know this is an easy kill. 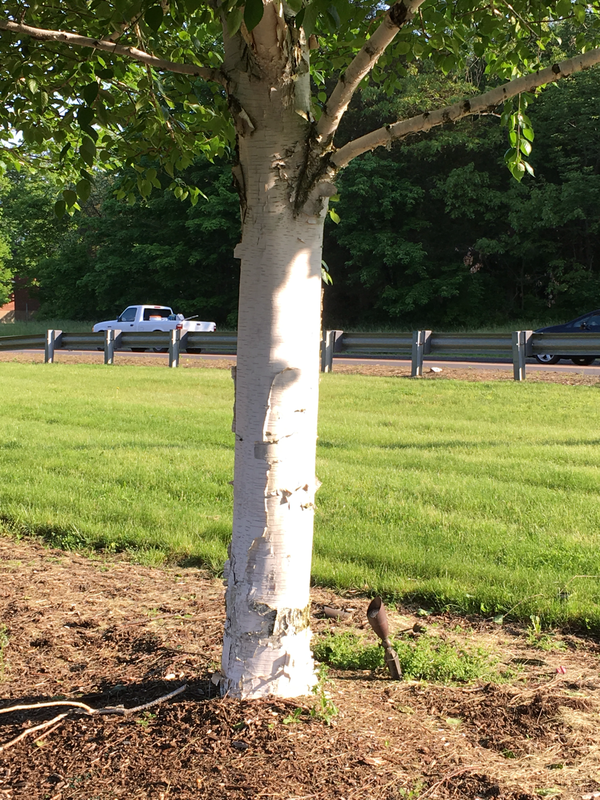 People buy birches and pay attention to them for the first few years and everything is ok. Then, just like the new car parked sideways for the first year in the grocery store parking lot, the shine wears off and the tree gets ignored and that can be the beginning of the end. For those interested enough to put a small effort into these great trees, the payback is well worth the effort. Sounds like a lot of work but there are so many compliments about those trees, it certainly is worth it. Sometimes people are surprised at the perceived high cost of our grass seed. I have seen what happens when poor quality, cheap grass seed is used on a lawn, it's not pretty unless it's on the side of a highway. We have chosen to take the high road when it comes to grass seed because once the seed germinates, you're stuck with it. If your tastes in lawn change from wanting something inexpensive to wanting something high quality, the only solution to having used inexpensive grass seed to begin with is to kill the whole lawn and start from the beginning. Not wanting to have our customers go through this tremendous effort, we have always tried to sell the best seed mixes that we can get and just like everything else, it costs more per pound than the cheap grass seed. 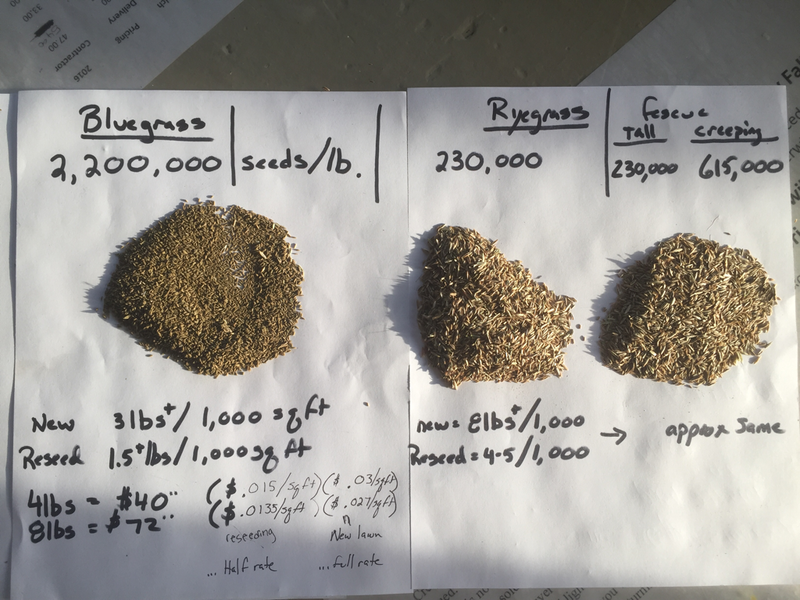 However, the picture above shows how teeny bluegrass seed is and how many seeds there are per pound in comparison to the less expensive perennial rye. Bluegrass seed costs more per pound, but you get much more square footage out of it. So if you look at it this way instead- consider cost per square foot instead of cost per pound. This is a much more intelligent way to analyze whether you are getting a reasonable value. 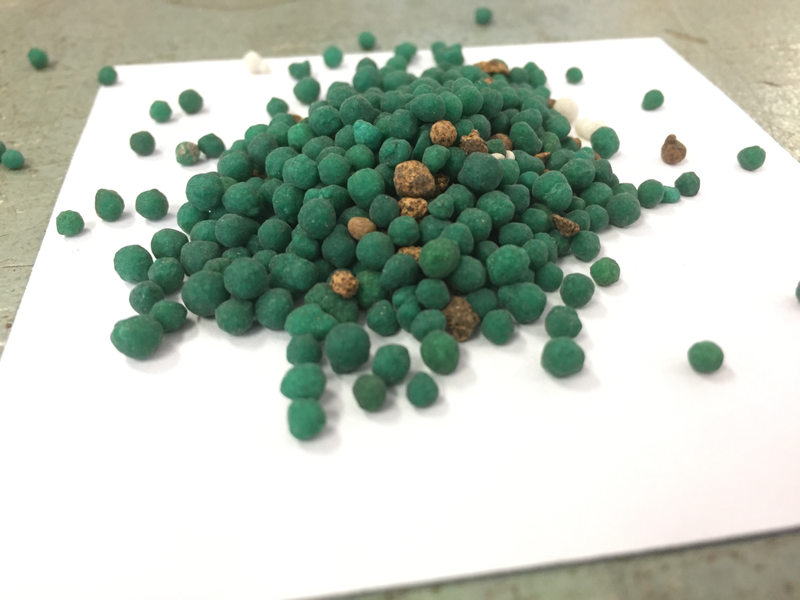 We've found a new supplier of high quality turf seed who shares the same values that we do about giving our customers the best that they can get. Our sod supplier (the guy who supplies Yankee Stadium with their sod) just delivered to us the seed they use to make the sod we get from them. It's pictured above on the left. I'm imagining it's the best turf you can get. This seed is used for overseeding existing turf in order to get the uniformity that the creeping bluegrass provides to well-maintained lawns. Of course, it's also important to properly feed bluegrass, especially, in order to give it the right environment for deep green color and growth (see the previous posts on feeding in the lawn section).